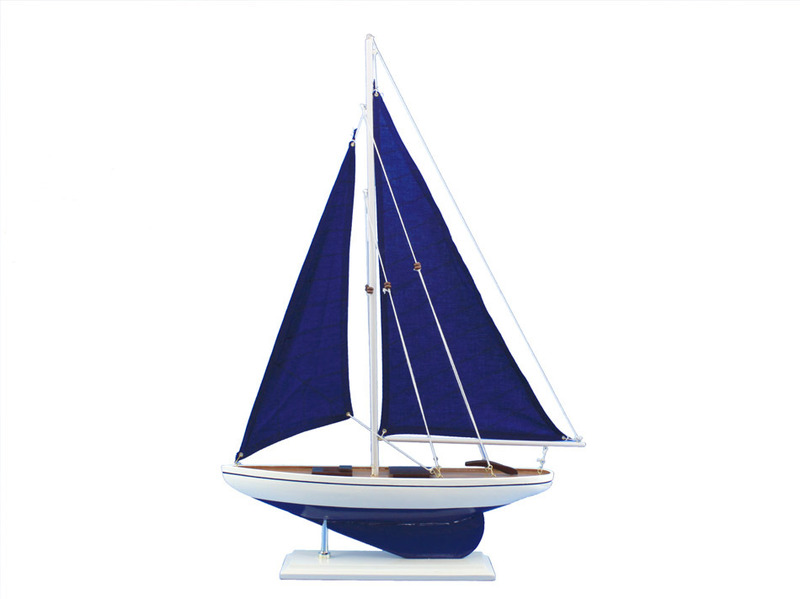 Brighten your day, or any room of your home, with this delightfully fun Pacific Sailboat w/ Blue Sails model. 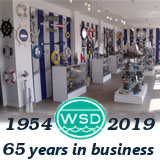 Perfect nautical décor gifts for friends, children, or party guests, they also make excellent nautical decorations or sailboat centerpieces for a reception or group event. Liven your office, beach house, or sunroom with one of these colorful sailboat models today!